Doors open at 6pm. Seating is limited. Fundraiser to benefit Brighton Optimist Club. Doors open at 6:00pm and the show begins around 7:00 pm. Buy your tickets ASAP, especially if you have a large group, this type of event tends to sell out fast. Proceeds sponsor our community events. Prizes, 50/50 raffle and silent auction are part of this event. 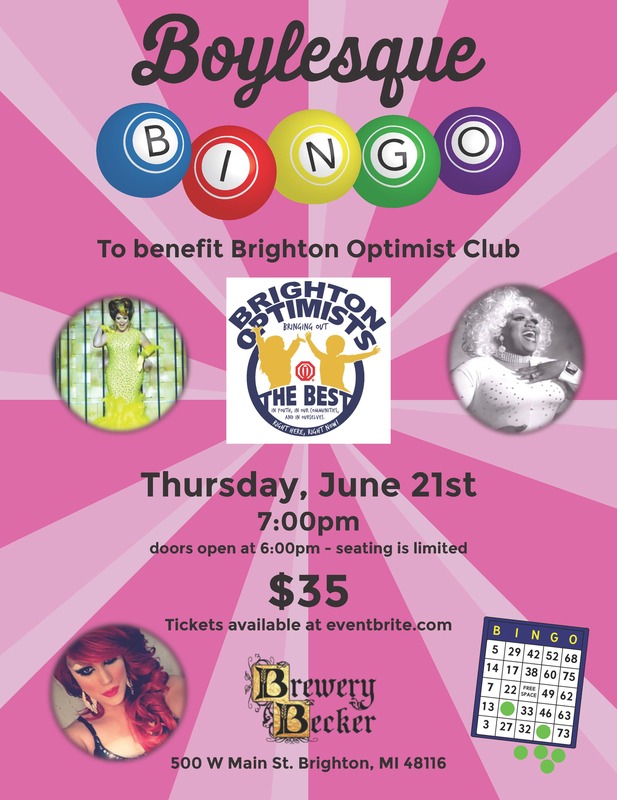 Grab some friends & come out to play Bingo, sample some tasty local beers and be entertained by some fabulous “ladies” all for a great cause! All tickets will be sold online – NO TICKETS WILL BE AVAILABLE AT THE DOOR. There is no specific reserved seating – 1st come, 1st choice when it comes to seating. If you have a large group we will do our best to make sure you are seated together – it would be good to arrive early to secure your large groups seats. The Brewery does have a limited food menu but you can bring in ‘take out’ food if you like.